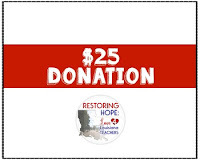 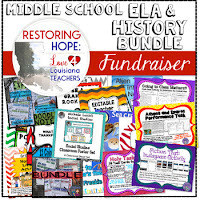 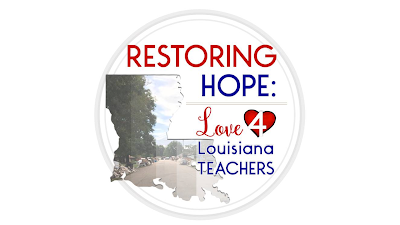 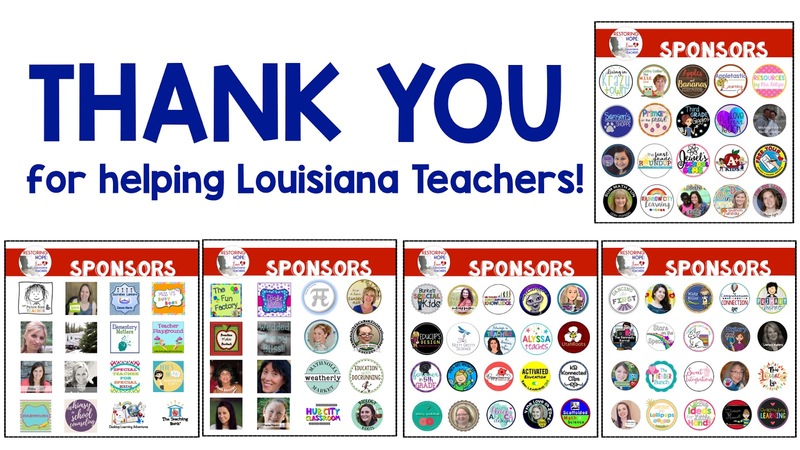 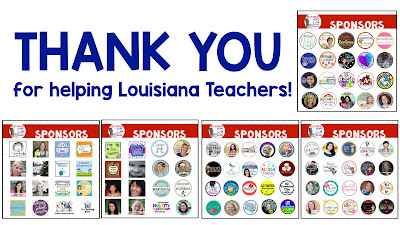 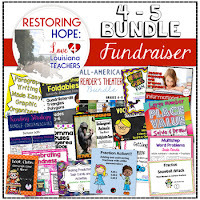 I'm pleased to announce that I have joined forces with an amazing group of Teacher Authors from Teachers Pay Teachers to create a fundraiser, Restoring Hope: Love for Louisiana Teachers. 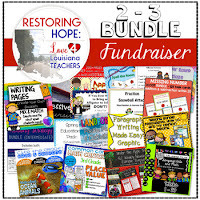 The core team behind Restoring Hope is comprised of Kristen fromTeacher Playground, Andrea from This Literacy Life, Shannon from OCD in First, and Stephanie from The Creative Classroom. We came together and created the fundraiser as a way to help our fellow Louisiana teachers rise up and rebuild their classrooms. 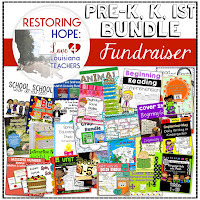 Our fundraiser has been made possible by the generous donations that we have received from 90+ TPT sellers that include high-quality products ranging from Kindergarten to High School. 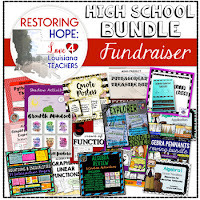 In total, there are six product bundles available and four donation options. 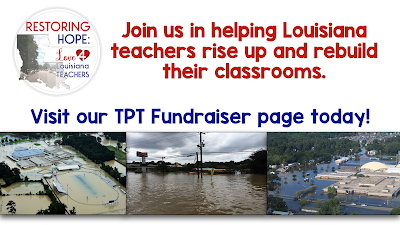 The TPT store will go live on Tuesday, September 6th, 2016 and will remain open for at least 30 days. 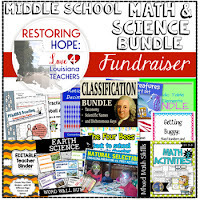 You can click the banner below to visit our store and support Louisiana teachers by buying product bundles or simply donating money to the fundraiser.